Home / Articles / Are Methadone Clinics Clean? Methadone clinics are some of the most popular treatment options available to opioid addicts, and most centers of this type see dozens of patients on a daily basis. These clinics are one of the most trusted options for opioid addiction, partially because of their high standards and intensive regulations. Therefore, you will receive treatment in a clean, hygienic environment when choosing to attend care in a methadone clinic. 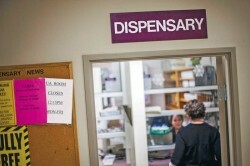 Federal regulations ensure the cleanliness, efficiency, and safety of methadone clinics. “Few advancements were made” in the regulations associated with methadone maintenance “until 2001 when regulations over methadone were modified to allow physicians and other health care professionals to provide [the drug] more effectively and consistently” (Center for Substance Abuse Research). And in 2010, the Affordable Care Act labeled the treatment of substance abuse disorders as an essential health benefit, one to which every individual should be entitled. Because of these changes, methadone clinics and other treatment options for addiction are federally regulated and carefully monitored to ensure safety and essential care for patients. According to the National Institute of Justice, methadone maintenance is one of the most “monitored and regulated” medical treatments available for opioid addiction treatment. This is because the drug itself can be addictive when abused, as it is a full opioid agonist, and requires careful monitoring whenever prescribed. This high level of regulation ensures that methadone clinics are not only providing the medication safely but that the facilities themselves are clean, efficient, and stable for the dispensing of methadone. The medical professionals at a methadone clinic understand the seriousness of a clean environment. First and foremost, patients are often more susceptible to infection and other issues, as their bodies have been exposed to dangerous substances, which can often compromise their immunities. Making sure that the environment of the clinic is clean is essential to general patient care, just as it would be in a regular doctor’s office, and perhaps in some ways, even more so. Those individuals who dispense the medication are also trained doctors and nurses who understand the importance of sterilization and cleanliness when administering medication. They will be concerned with your wellbeing as a patient and with the safety of all other patients and the medical staff as well. If you are still concerned about whether or not a particular facility will be up to code, you can always tour the clinic itself before you decide to attend treatment there. Once you have seen the facility, it can be much easier to decide that the treatment is right for you and begin your regimen. However, it is important to understand how heavily regulated these facilities are, and if you come across a clinic that does not live up to the standards it should, you have every right to register a formal complaint with your local government office. Do You Want to Attend Methadone Treatment? Call 800-891-9360 today and we will help you find the clinic that will best fit your needs so you can begin to recover from opioid drug abuse.